I love finding new and innovative ways to add more fiber into my diet. What could be better than doing so by eating one of my favorite foods – pasta! I know most of you are wondering how could there be fiber in pasta, “isn’t it high carb and zero fiber?” Not if you are eating a bean-based pasta like Tolerant! Tolerant uses only ONE ingredients and turns it into a delicious and nutritious one of a kind pasta. Each of their pasta is made entirely from a single variety of legume. It may look and taste like pasta, but you are actually eating legumes that are packed with so many health benefits! A 3.5 oz. 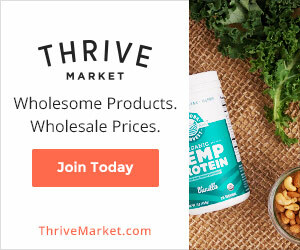 serving provides you with 25 grams protein, 44% of your daily recommended fiber, full serving of vegetables, and vitamin B6, iron, folate, and zinc. 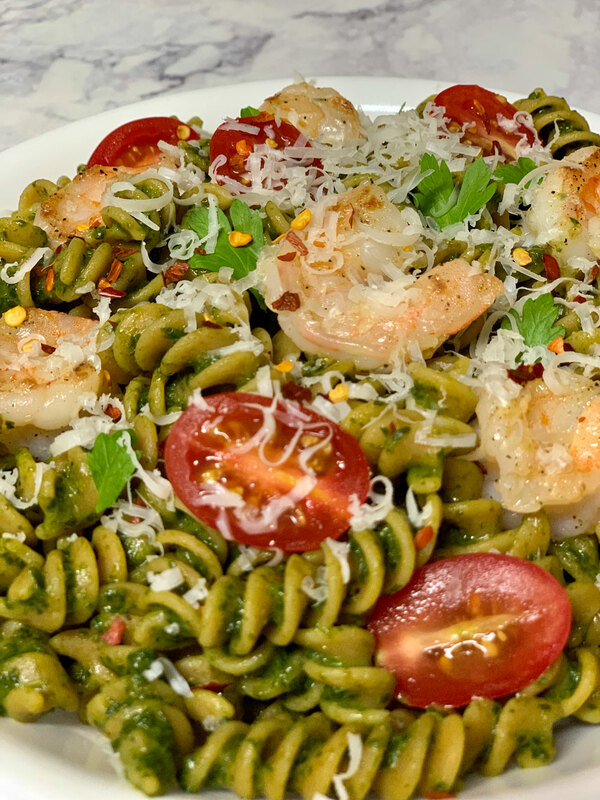 The best part is that this heavenly pasta is gluten-free so those who can’t tolerate gluten can enjoy this pasta without having to suffer with discomfort. 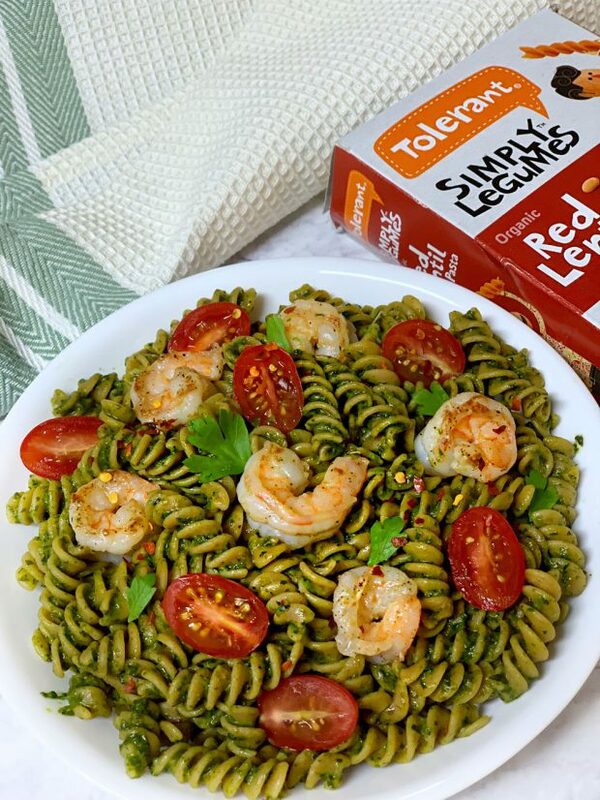 Tolerant’s bean pasta comes in three different great tasting flavors – red lentil, green lentil and chickpea. They are all high in both fiber and protein. Eating a meal that includes fiber and protein will fill you up and you are less likely to reach for dessert or a snack after. The health benefits of fiber are endless. Studies show that eating a diet rich in fiber supports weight loss, aids digestions, relieves constipation, lowers cholesterol, helps to stabilize blood sugar levels, and protects against colon, breast and ovarian cancer. 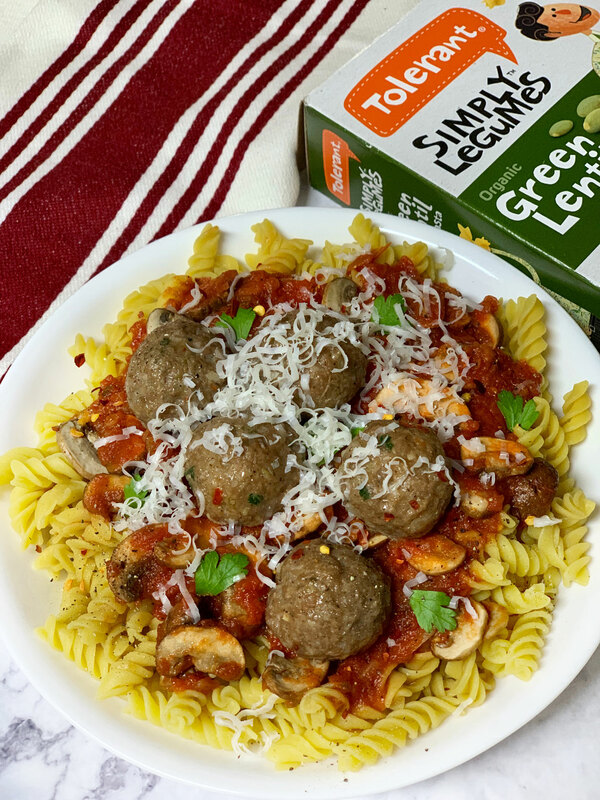 For a delicious recipe, check out the Green Lentil Rotini with Grass-Fed Meatball that I recently made. It is to die for and will keep you feeling full for hours!